Fri. – Sat. – Sun. 7:00 a.m. to 5: 30 p.m. 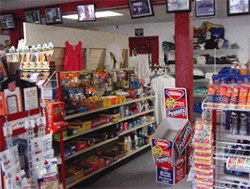 The Country Store at Highbanks Marina is stocked shelf to shelf with all sorts of food, supplies, candy, cigarettes, shirts, and much much more. 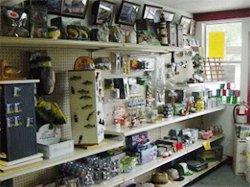 It is conveniently located inside the 72 slip boat marina so boaters can dock, get in and get what they need, and then get out if they are in a hurry. Come here to fill up your boat with supplies and gas, and if you're planning a cook out, come and get your propane tank filled. If you want to take out one of our rental boats for a half or whole day this is where you come to check one out. 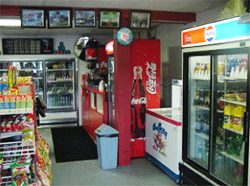 We now sell non-ethanol fuel and LP Gas at our Country Store. Visit or call 386-668-2350 for more details.